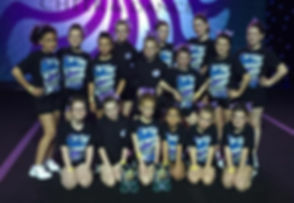 Eclipse Allstars is an established competitive and recreational Cheerleading program, based in Farnborough. We are committed to providing quality training in a safe and positive environment for children aged 4 to 15 years old of all abilities. At Eclipse Allstars, no experience is necessary. 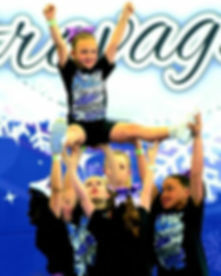 Cheerleading is a great way for your child to keep active, and make new friends while reaching personal and team goals. We try to encourage all of our athletes to reach their full potential while learning valuable life lessons. We strongly encourage our athletes to form and maintain positive relationships with all members of the Eclipse Allstars family and our community. We stress the importance of family values, sportsmanship, collaboration, dedication, self-confidence, honesty and leadership. 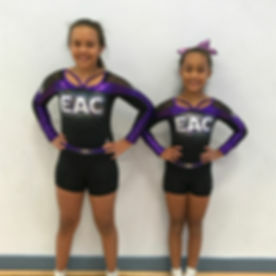 Our athletes will be taught solid technique and strong fundamentals in all areas of cheerleading. These are taught in a supportive, safe and positive atmosphere. At Eclipse Allstars we pride ourselves on having the correct qualifications and procedures in place to keep all children and coaches safe. 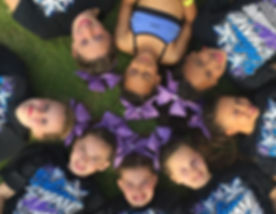 It is the hope of Eclipse Allstars that every member develops lasting friendships, self-confidence, a strong sense of pride and great memories that they will carry forever. Being an Eclipse Allstars cheerleader means being part of a supportive and inclusive family where it is everyone’s chance to shine!